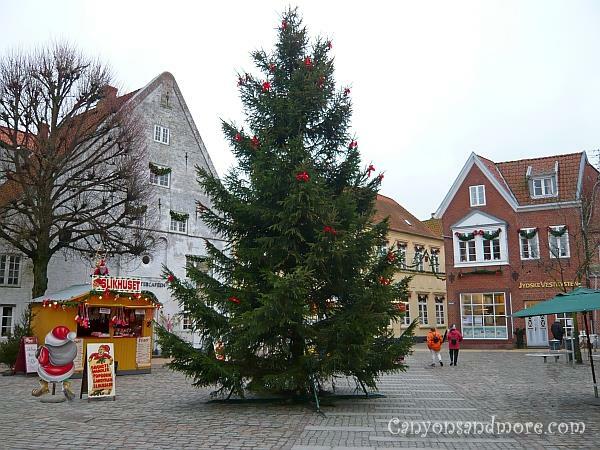 If you were to allowed to visit just one town on a Christmas trip to Denmark and want to go somewhere to experience Christmas without a lot of hustle and bustle, this is the town to see. Do not expect loud and lively. Life seems to move by a slower pace here which is refreshing. Christmas seems to be at home here. It is not a big town but is instead quaint and charming. Tønder is definately a town for crafters, sewers and knitters. Crafters will find a Smorgasbord of goodies at the Kraemmerhuset craft shop. It is located at the end of the pedestrian zone on the right side. Years ago it was on the left side in case some of you have been here before. Inside is much bigger than it looks from outside and has practically everything one needs, especially paper craft and scrapbooking supplies. 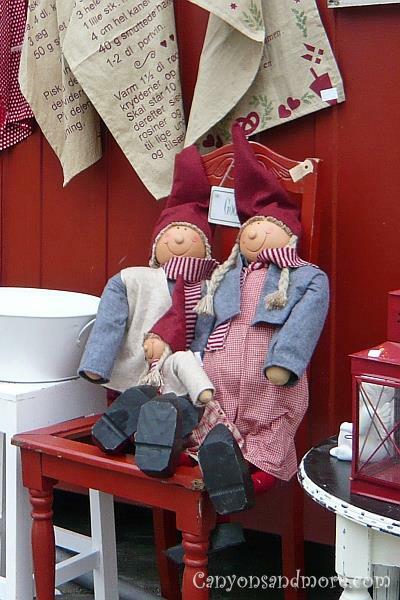 If you are more into sewing, then you will find what you need at Ulla’s Systue. You will find a nice selection of fabric and sewing machines. And knitters and crocheters will also be impressed with the selection at the Hobby Sy&Strik store. “Sy” is the Danish word for sewing and “Strik” is the word for knitting. Cross stitch is also very popular in Denmark. The image above shows a popular attraction in Tønder. ønder is located located in the south-western part of Denmark about 30 km from the North German border. 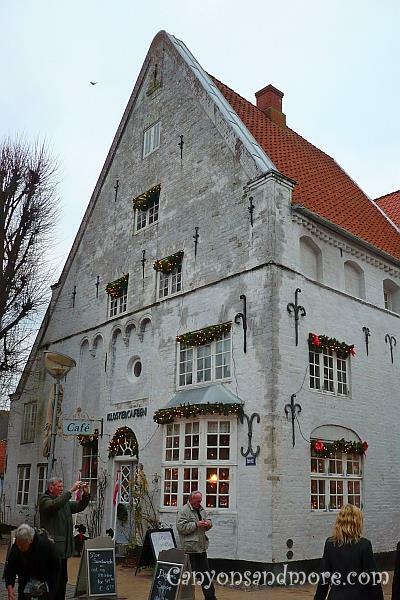 Tønder is a tourist attraction the whole year round because of its famous “Apotek” and because of its old world charm.This former pharmacy is now a year round Christmas store selling traditional Danish Christmas decorations, dolls, antiques and other treasures. This is the outside of “Det Gamle Apotek”. It is located in the center of town on the town square. Det Gamle Apotek store window is always tastefully decorated and very inviting to go inside. Once inside, there are three floors divided into many separate rooms. It is amazing to go through here because you never know what you may find. And the interior is so incredibly old with small creaky stairways which only seem to add to the flair of the place. 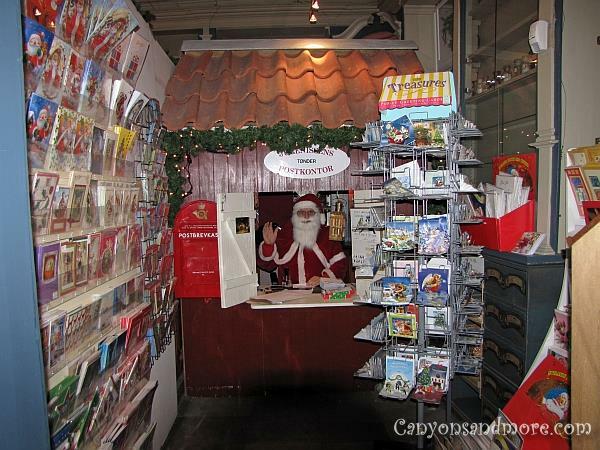 At “Det Gamle Apotek”, the Julemand gladly accepts the Christmas mail. 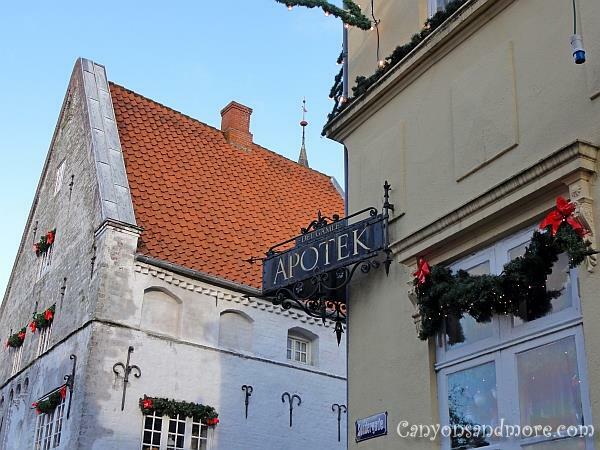 Just across the Apotek is an attractive cafe. The exteriour was nicely decorated with natural garlands and red ribbons. 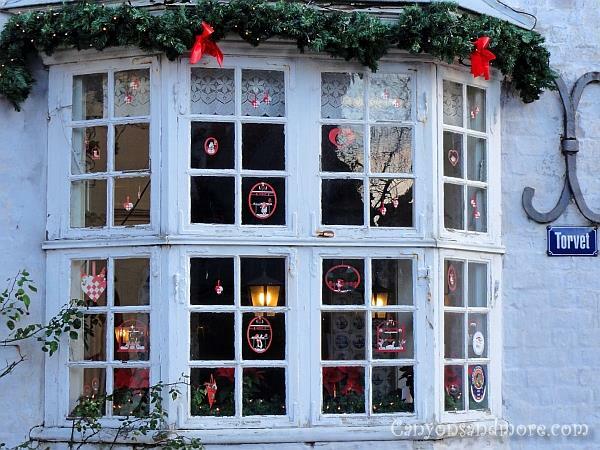 Some of the small window panes of the cafe had unique and delicate paper craft decorations in red and white colors. Very charming and very typical for Denmark! At the town center square there is a sort of mini Christmas market. Just a few indoor booths. At the time this photo was made it was early morning and there still was not too much going on. This is a picture of the pedestrian zone of Tønder. The “downtown” shopping area is pretty much just this street, as it is not a big town. There is not much hustle and bustle here. It is more of a quiet atmosphere to do your Christmas shopping. 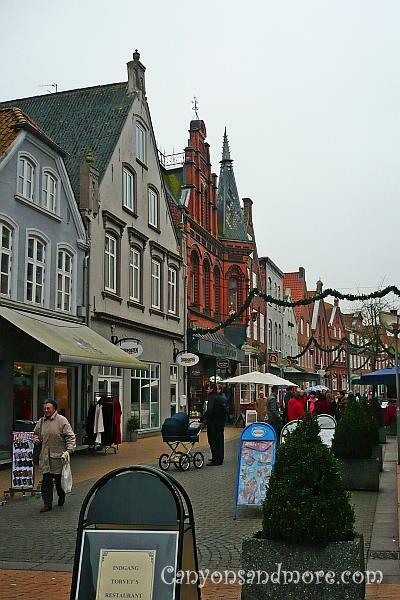 The pedestrian zone has many small shops and boutiques, rather than large department stores. 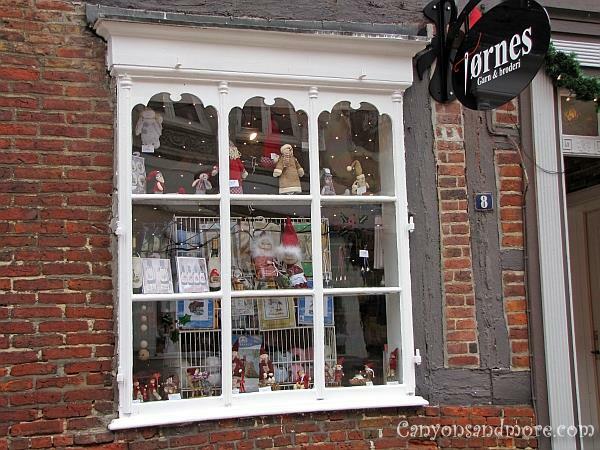 This is an example of one of the little shops of the Christmas market. 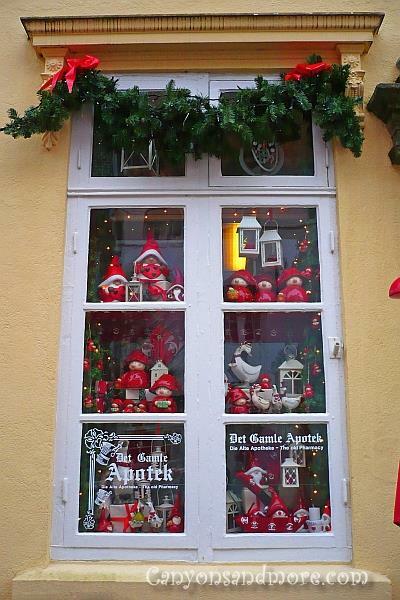 Most of these shops sell Danish Christmas decorations for the home and tree and again the colors of red and white dominate them. Everything here has such a country style to it and is just too cute. All of the other shops are also quaintly decorated at Christmas time. 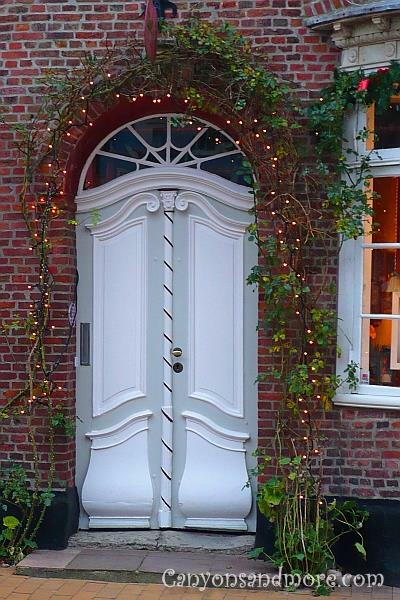 Isn’t this an elegant door?